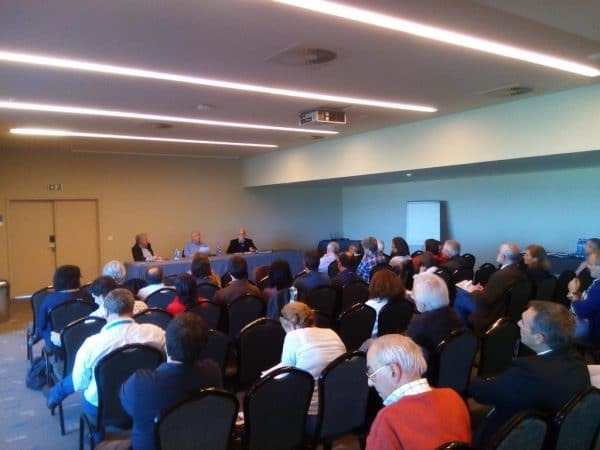 On 17 May 2016 the Portuguese Association of Meteorology and Geophysics (APMG) hosted a debate on the importance of national meteorological and geophysical services, discussing the role of Meteorology and Geophysics in Portugal and the appropriate framework in the State structure. The meeting came in the wake of drastic measures of economic character imposed by the European Central Bank, the European Commission and the International Monetary Fund that have been taken four years ago and have induced the previous Portuguese Government to join different institutions into one (in the current case, the National Institute of Fisheries Research, Division of Marine Geology of the National Laboratory on Energy and Geology, and the Institute of Meteorology). 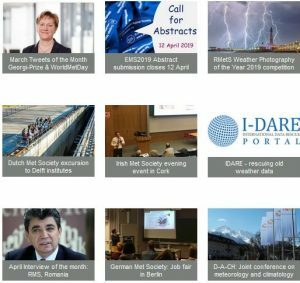 APMG considers the realization of the colloquium a very important event which provided an open forum for debate, allowing a comprehensive and constructive exchange of views on the current situation and the future of Meteorology in Portugal. Interconnection of research and operational programmes. The recovery of specific careers for meteorologists and meteorological technicians, which should include specific professional training courses, without which the respective professional qualifications would not be accredited. The continuous training of meteorologists and meteorological technicians – this requires adequate conditions for scientific and technical specialization and stability. A medium/long term strategic plan for the development of Meteorology in Portugal. The colloquium was attended by approximately 40 people, most of them from the IPMA (Portuguese Marine and Atmosphere Institute) and retired meteorologists from the former Institute of Meteorology (IM), but also from the Faculty of Sciences at Lisbon University, the Ministry of National Defense, and the Office for Planning, Policy and General Administration. Different opinions were expressed, some showing the negative aspects of the current situation and others expressing the idea that the question of the framework would not be relevant.